Mylan is being slammed on social media by people unable to afford the lifesaving drug and Sarah Jessica Parker, who had worked with Mylan on an awareness campaign, cut ties with the company on Thursday. PITTSBURGH: Mylan, maker of the EpiPen, tried to end its pricing scandal with an offer to cover half the price of the injector. But some are calling the move a PR stunt and saying it doesn’t get to the root of the problem. The company announced Thursday that it will offer copay assistance to more customers and a $300 savings card to help cover the out-of-pocket cost, seemingly trying to amend the crisis. But Connecticut Senator Richard Blumenthal, one the officials speaking out against the price surge, said the assistance wasn’t enough. "This step seems like a PR fix more than a real remedy, masking an exorbitant and callous price hike. This baby step should be followed by actual robust action," the senator said in a statement. Mylan representatives did not respond to a request for comment. 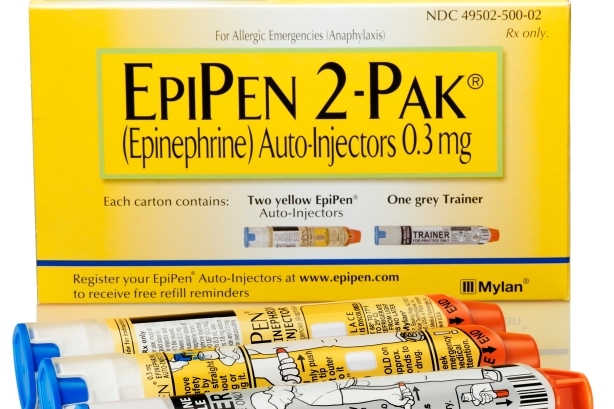 The pharma company had increased the price of the EpiPen 400% over the past two years, making the injector cost $600. After the New York Times ran an article about the price hike on Monday, Congress began investigating and pushing the company to explain the surge and people criticized the company on social media. Even Hillary Clinton denounced the company on Twitter. John McDonald, founder of crisis communications firm Caeli Communications, said the company doesn’t seem to comprehend the crisis position it’s in. "The best way to manage the crisis is to mitigate the damage and get in front it," he said. "The best way they can do that is to significantly roll back the cost, admit it was a mistake to increase it, and engage the medical community. That would give them the opportunity to redeem themselves in the eyes of the public." The crisis compounded when "Pharma Bro" Martin Shkreli, famous for hiking the price of the drug Daraprim by 5,000%, came to the company’s defense. The @CNBC shaming of Mylan is outrageous. I'd offer to put them in their place but holding my nose as I walk in would be difficult. "When you’ve got Martin Shkreli coming out and defending you, that’s abysmal," McDonald said. "He's the last thing a drug company wants attached to it." Mylan was slammed on social media by people unable to afford the lifesaving drug, which is used to prevent anaphylaxis from severe allergies. Parents told anecdotes about not being able to afford the injector for their children, leaving them vulnerable to deadly allergic reactions. "They didn’t seem to understand the emotional impact and potential regulatory impact of raising the price of a lifesaving drug," McDonald said. "Of all the industries that would be attuned to the emotional impact of what they do, I would think health care would be at the top of that list." Sarah Jessica Parker, who had worked with Mylan on an awareness campaign, cut ties with the company on Thursday.